By now, everyone knows that reducing their waste is a good way to help the environment for numerous reasons. The problem is, many people do not put forth the extra effort to do so because they are not able to actually see the results. Would you try harder to reduce your waste if you could save money as well? Here are a few ways you can reduce waste and save money at the same time. Of course, the easiest way to reduce waste is by recycling. Besides making sure to separate your plastic, paper, and aluminum, there are several other ways to recycle. Instead of throwing away your food scraps, compost them. Fruit and vegetable peels, coffee grounds, and even egg shells can be added to compost. The compost can be added to soil when growing produce; this way you can have your own garden instead of having to run to the grocery store for fresh fruit and veggies. The next time you outgrow that sweater or your kids outgrow their toys, don’t throw them away, donate or resale the items. “Thrifting,” which is a big trend right now, is also a cool way to find items at a cheaper cost. 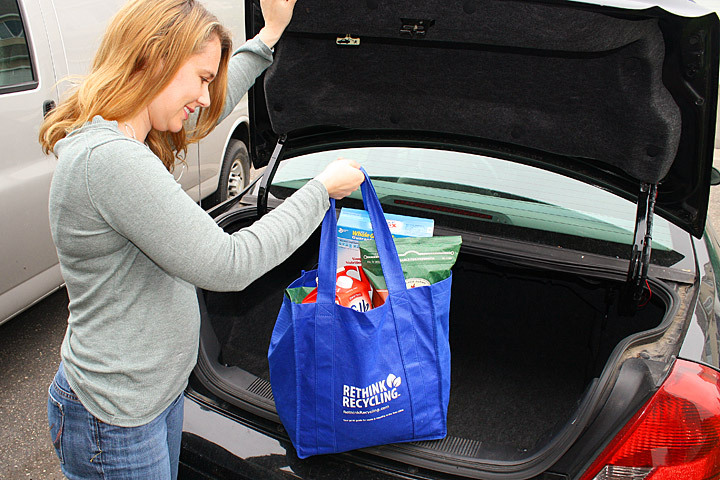 The next time you head to the grocery store, be sure to bring reusable bags instead of using the paper and plastic bags available. This not only reduces waste, but also helps in avoiding the chance of being charged for bags. Instead of constantly spending money on bottled water, opt for reusable water bottles. If you are not a fan of the tap water in your area, consider buying a water filter; some bottles even have their own filter. It may be a pricey purchase in the beginning, but in the long run it will save you tons. When going out to eat order smaller portions. Not only will you save money, you will also be less likely to need a to-go container that you will later throw away. Invest in cloth towels instead of buying paper towels to clean around the house. Making your own cleaning supplies is healthier for the environment and your loved ones because you can control which chemicals are being used and avoid really harmful ones. It will also save money because you are not spending money on fancy name brands. There are so many ways to reduce waste and save money. Start today by purchasing some of our long-lasting and durable towels or cloths instead of paper towels. Just call us at 1-800-279-2051 or visit us online at www.uswiping.com! When you walk in the paper products aisle of your local grocery store, take note of the paper towel products. You’ll find so many different brands claiming to be the most absorbent, the strongest, or the product that will give you the biggest bang for your buck. We use paper towels for all sorts of things from cleaning to preparing food to absorbing spills and wiping away messes. But paper towels aren’t always the best tools for the job. Here are some handy dos and don’ts to keep in mind the next time you reach for a paper towel! DO wash and dry produce with paper towels – Before you peel or slice any fruits or veggies of yours, you’ll want to make sure that they are clean and free of any pesticide residue that might still be on the skin. Paper towels are perfect for the job and help keep dirt and bacteria from transferring from the knife to the produce. DON’T use paper towels on your furniture, glasses, or screens – Paper towels can scratch television screens, camera lenses, furniture, and your glasses because these “towels” have a rough surface. Clean these delicate surfaces with a clean microfiber cloth or other soft cloth instead. DO steam food in paper towels – Need to steam cook some food in your microwave? A wet paper towel works just fine! It’s an easy way to create healthy meals and snacks without the hassle. 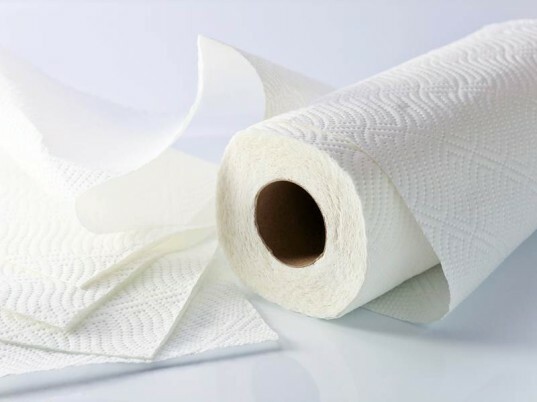 DO use paper towels to fight germs – Use paper towels to cover public bathroom door handles before turning them in order to reduce exposure to germs. This is an especially good strategy to have during the cold and flu season. DO use paper towels to prep the grill – Next time you put something on the grill, make a tight pad from two-folded paper towels, add some vegetable oil, and use tongs to drag it across your grill just before cooking. This helps prevent any food you put on the grill from sticking! DON’T clean your windows with paper towels – They can leave lint behind. Use a squeegee to help you wash your windows instead. DO clean your wiper blades with paper towels – Your wiper blades need to be wiped down once in a while. Clean the rubber edge of your wiper blades with a paper towel dampened with glass cleaner or water and a bit of dish detergent. This will help extend the life of your wipers. Want to ditch the paper towels in favor of durable, long-lasting, and soft cleaning products? Check out the great products available at US Wiping! From microfiber cloths to terry towels and everything in between, we’ve got it all. Just call us at 1-800-279-2051 or visit us online at www.uswiping.com!